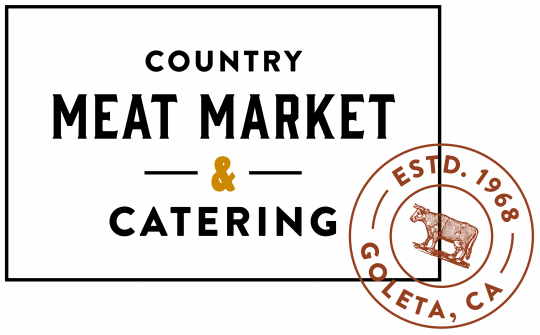 The Country Catering Company has been serving the communities of Goleta and Santa Barbara for over 45 years! We specialize in catering to local businesses for events of all kinds. Whether it's helping you plan for a small corporate meeting, a large formal event, or something in between, we can provide the services and food to make your company function a delicious and memorable time! We are famous for our company picnics and on-site BBQ's, served at your company or at the location of your choice. If you are seeking catering services for any occasion, we offer a fantastic hors d'oeuvres menu (preview in the drop-down menu above). We also offer local delivery for our special corporate luncheon menus featuring our delicious breakfasts, luncheon platters, and complete hot meals. Take a look at our menus, and let us know how we can cater to you! Remember, you are always free to make substitutions and changes to any of our menus to suit your specific needs. Give us a call with any questions that you might have and work with our planners to create your perfect event. Thank you for your time and consideration. We look forward to serving you!